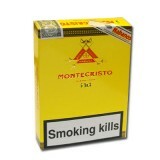 Montecristo clubs are made from 100% Cuban tobacco and are machine rolled in Cuba. The leave.. 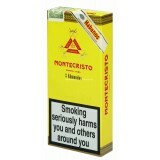 This big cigar looks more powerful than it is. 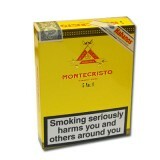 Surprisingly mild, the Montecristo Edmundo, one of .. 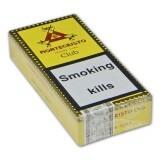 This big cigar looks more powerful than it is. 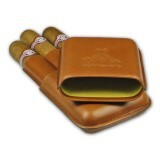 Surprisingly mild, the Montecristo Edmundo, one of..
A Montecristo Edmundo leather cigar case containing 3 x Montecristo Edmundo (5 1/3 x 52). 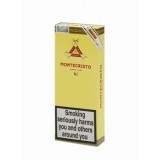 ..
Montecristo minis are made from 100% Cuban tobacco and are machine rolled in Cuba. The leave.. 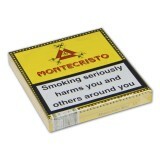 The Montecristo No.1 has the draw of a classic. 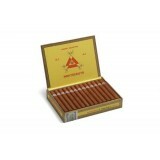 This makes this Lonsdale a preferred cigar of dev.. 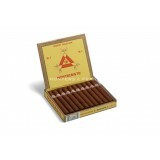 This is a cigar that you either love or hate. That said, it is arguably the most recognizable Cub.. 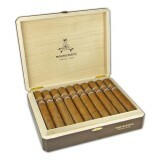 This is a cigar that you either love or hate. 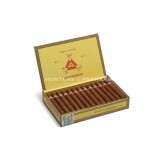 That said, it is arguably the most recognizable Cuban .. 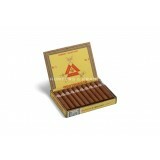 This cigar's incredibly massive volume of production is testament to its reliability and consiste.. 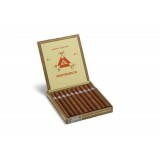 The No.4 is evenly balanced for a small cigar, well structured, whilst still offering excitement t..
Punchy and at the same time full of delicate floral notes and hints of vanilla, the No.5 has an u..